Carrying goods by road involves the risk of road traffic accidents. If the goods carried are dangerous, there is also the risk of an incident, such as spillage of the goods, leading to hazards such as fire, explosion, chemical burn or environmental damage. 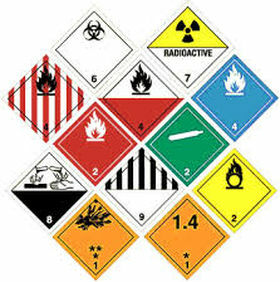 Dangerous goods are liquid or solid substances and articles containing them, that have been tested and assessed against internationally agreed criteria – a process called classification – and found to be potentially dangerous (hazardous) when carried. Dangerous goods are assigned to different Classes depending on their predominant hazard. 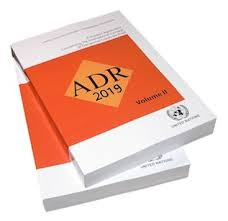 The Carriage of Dangerous Goods and Use of Transportable Pressure Equipment Regulations (CDG) and the European agreement “Accord européen relatif au transport international des marchandises dangereuses par route” (ADR) together regulate the carriage of dangerous goods by road. The ADR Driver Training Certificate (DTC) is a legal requirement for drivers of vehicles transporting dangerous goods nationally and internationally. Our Initial and refresher courses are fully Department for Transport (DfT) approved and accredited with SQA and JAUPT which can count up to 21 hours driver CPC (Driver CPC modules 8, 9 and 10).